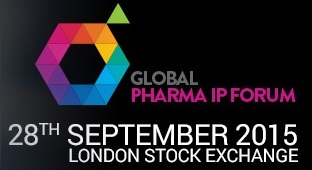 IP-Coster Network will be participating in the Global Pharma IP Forum 2015 being held at London Stock Exchange on September 28, 2015. The Global Pharma IP Forum is annual event dedicated to latest legal developments affecting pharma and biotech companies which provides visitors with opportunity to network with their fellow industry peers, litigators, key industry regulators, consultants and patent attorneys from all over the world. We invite you to visit our booth No. 8. Our representatives will help you to explore the advantages of IP-Coster Network and assist you with any queries you may be interested in. Please contact us for arranging a meeting during Global Pharma IP Forum 2015.